The second book in the series The Northumbrian Thrones. 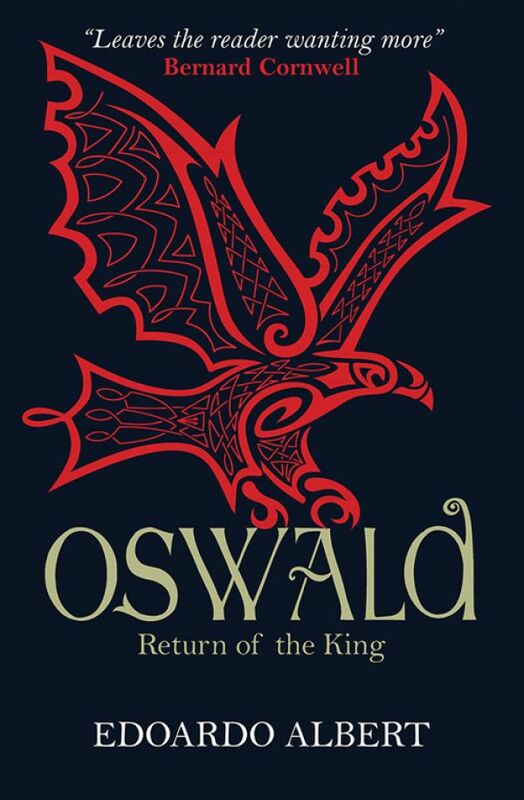 After the death of Edwin, who slew his father, the young prince Oswald seeks to regain the throne. The exiled family of king Ethelfrith of Northumbria arrive, after much hardship, on the island of Iona, where the monastery founded by St Columba has become a centre of worship and learning. Young Oswald becomes friends with a novice, Aidan. When Aidan professes his final vows, Oswald and his little brother Oswy are received into the church. As befits a young prince, Oswald learns to fight. However, Aidan’s example attracts him and he is on the point of deciding to become a monk when news reaches Iona that his half brother, Eanfrith, has been killed by Cadwallon, the king who defeated Edwin. Oswald sails back to Northumbria and meets Cadwallon in battle, defeating him and killing him. Edoardo Albert is a copywriter, editor and writer of short stories, features and books. His stories have appeared in Daily Science Fiction and Ancient Paths, and he has written features for Time Out, TGO and History Today. His first novel in the Northumbrian Thrones series, Edwin, was published by Lion Hudson in 2014; Northumbria: A Lost Kingdom was published by the History Press in 2013. He is also the editor of the new Time Out Cycle London Guide.